The National Cash Register company, also known as NCR, was the first company to produce a version of cash registers that resemble the cash registers used today. 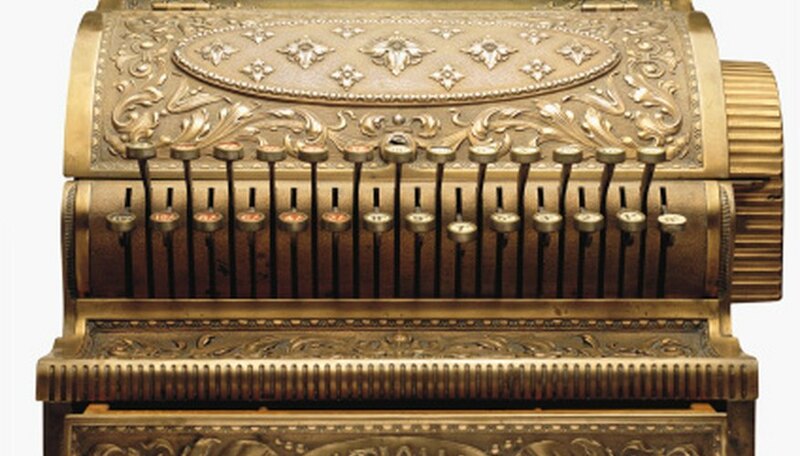 Made using red brass, nickel plate and oxidized copper and wood, National cash registers are known for their beautiful ornate designs. The most ornate registers were created in the late 1800s to 1915. After 1915, the company changed the production of their registers using a less expensive steel case.